Lucky Numbers: 11, 29, 38, 47 and 56. 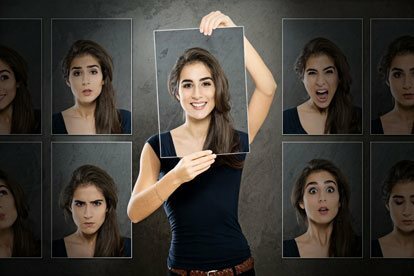 The native people of the sign of Aquarius have a very strong and attractive personality, there are two types of people belonging to this sign, some of them are shy, sensitive and patient and others are exuberant and vital, they may even conceal the depths of their appearance and personality under a frivolous air. These two types of personalities belonging to the Aquarius sign possess great strength of conviction and truth and are strong enough so they can get honest people to change their minds if they find evidence to indicate the opposite of what they thought before. Aquarius people have the ability to see both sides of an argument, therefore Aquarians are among the most tolerant and unprejudiced signs of the zodiac, as they are completely open to the truth and are willing to learn from all those around them. Aquarius at Work , Aquarians are able to obtain excellent results when working in groups, yes, provided they are the leaders, the Aquarius has a sense of unity with nature and a strong desire to learn and discover, reason for them to become great scientists , astronomers or historians. Aquarius can also work in any technical area, and can also become good writers, teachers or social workers and psychologists; they can also become good musicians. Aquarians want relationships that allow them to maintain their freedom and people who understand their concerns and desires, those that understand their passion, their receptivity and respect his tranquility. These are playful, alert and active lovers; they add great energy trying to satisfy their partner. Areas for improvement: Aquarians are unpredictable and tend to be rebels, they are unemotional and do not understand the complexity of the feelings of some people. They also do not forgive betrayal among friends. Do not make him angry: they do not like false promises or feeling alone, they do not like everyday life or imitations.